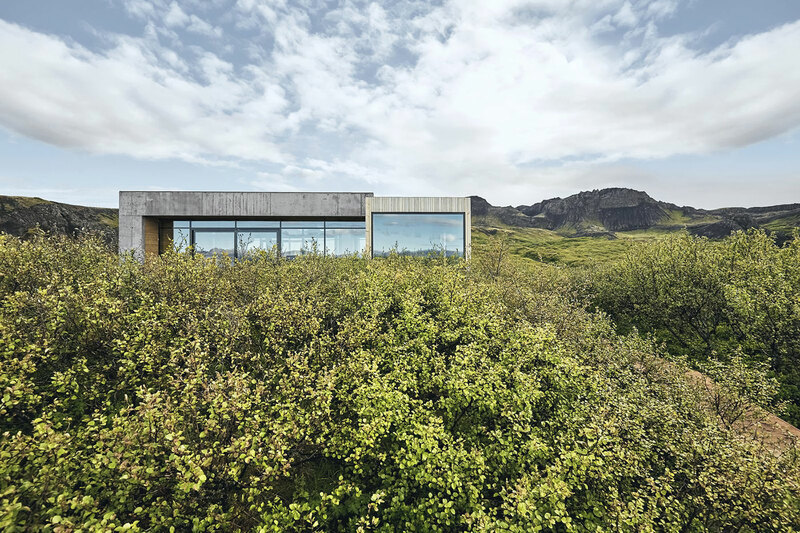 Surrounded by the astonishing landscapes of Southern Iceland, a summer home by architecture studio Gláma Kím underscores the region’s natural beauty at every turn. 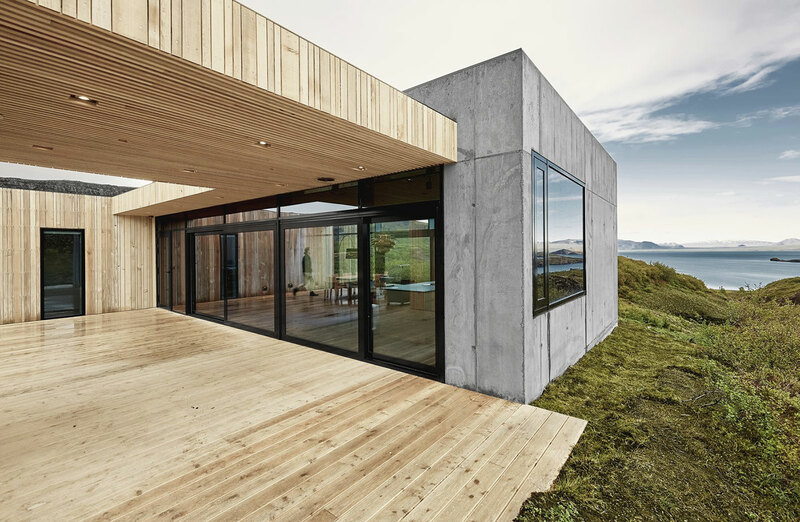 The house itself is beautiful, but it’s understated — made of concrete and wood — focused instead on giving its inhabitants optimal views of the scenery. 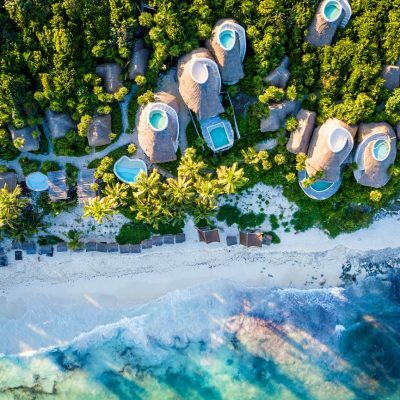 In a breathtaking place like this, the ideal type of lodging must frame the spectacular vistas from every angle. 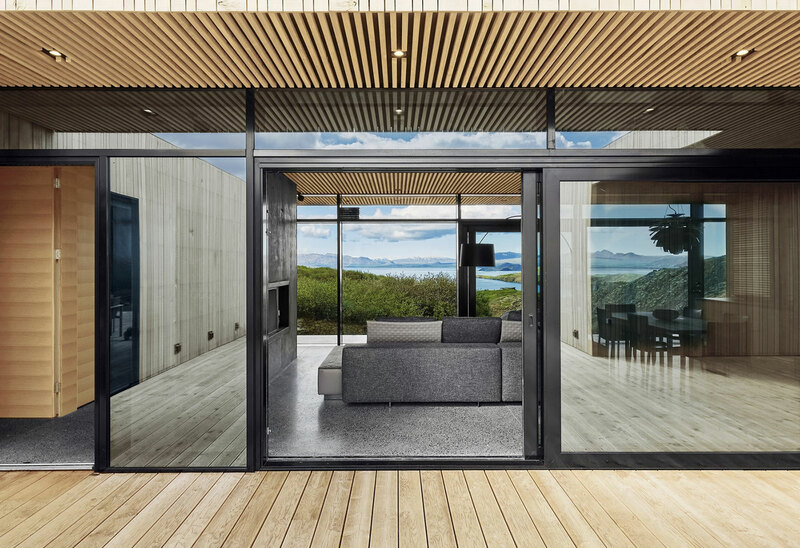 The minimalist home never tries to compete with its surroundings. 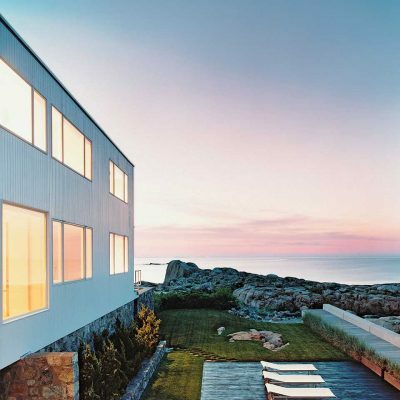 The house is perched on a high ridge, sitting modestly within the spectacular scenery. 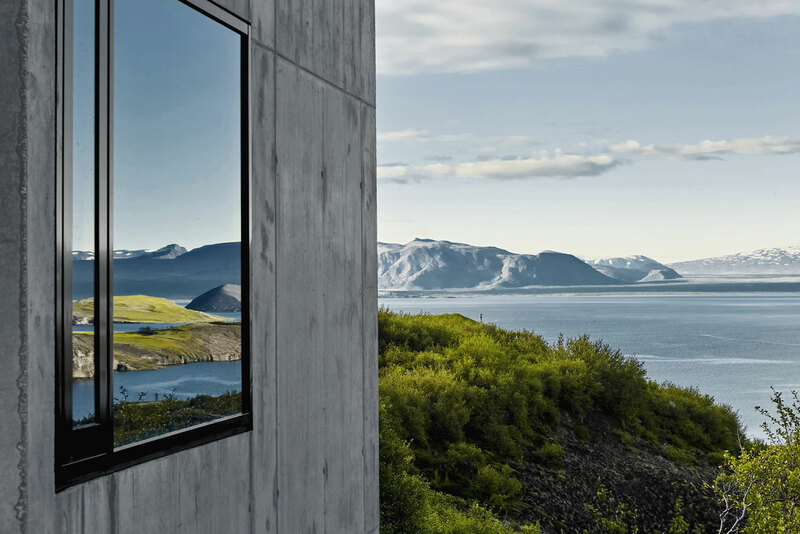 The central, rectangular, concrete structure features expansive glazing which showcases the stunning scenery from every angle. 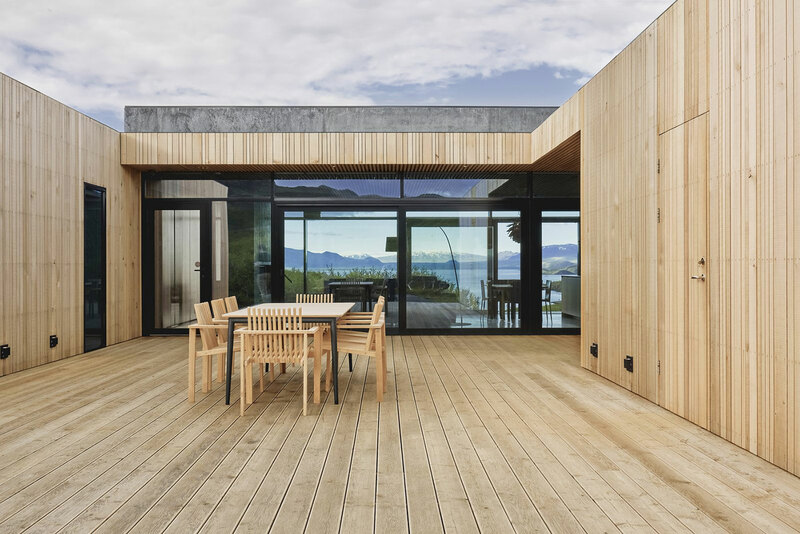 Two cedar-clad volumes are connected to the main volume via a cedar deck. 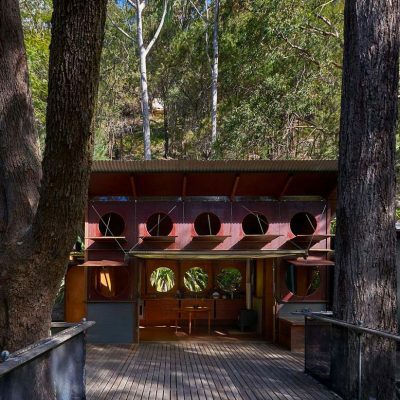 The deck is covered with an extended cedar canopy. Thanks again to the extensive glazing, even the interior courtyard enjoys perfectly framed vistas. The living room opens to the courtyard. 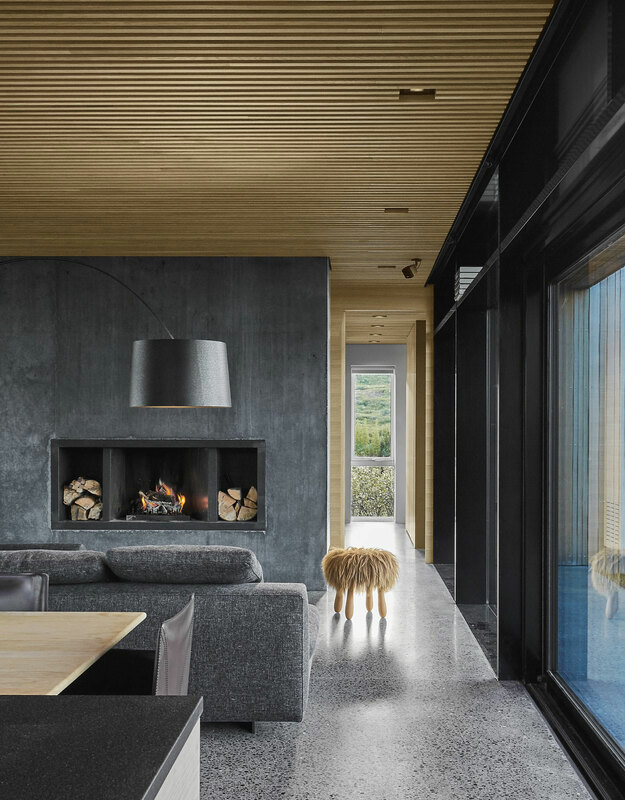 The minimalist material palette is picked up on the interiors as well, where a black concrete fireplace plays off the polished aggregate concrete floors. 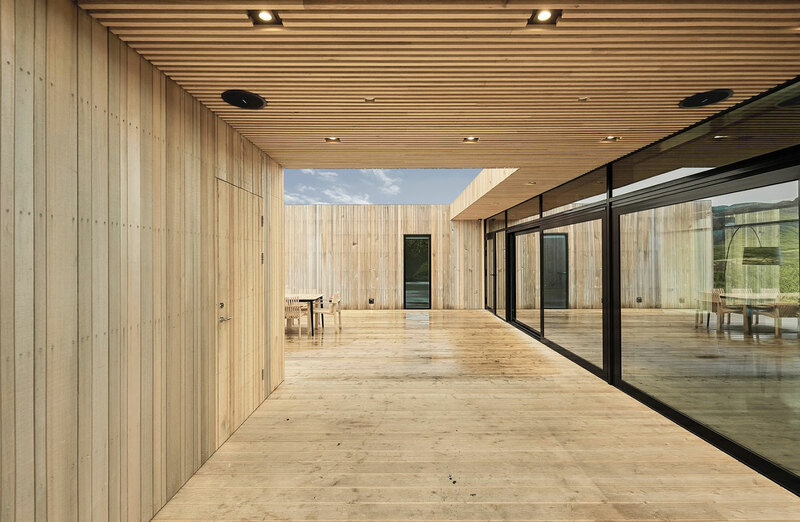 The use of wood softens the industrial feel of the concrete. 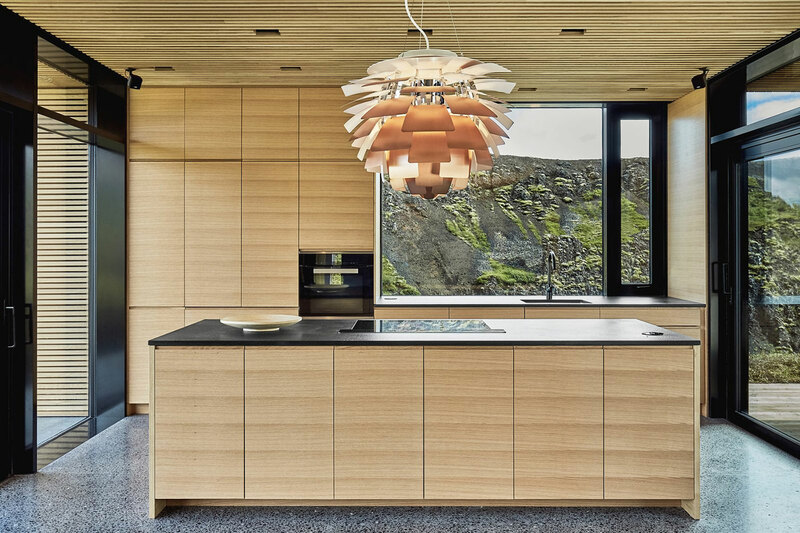 The open kitchen blends in with sleek wooden cabinetry and black countertops. Another look at how the views are framed from every perspective. Floor-to-ceiling -to-wall views in one of the bedrooms. The entire property, sitting comfortably in its element. 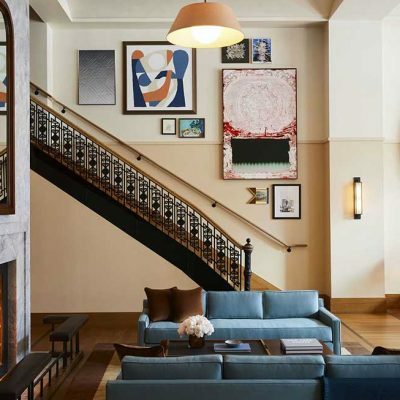 If you’re looking to enjoy a maximalist environment, stay in a minimalist hotel. 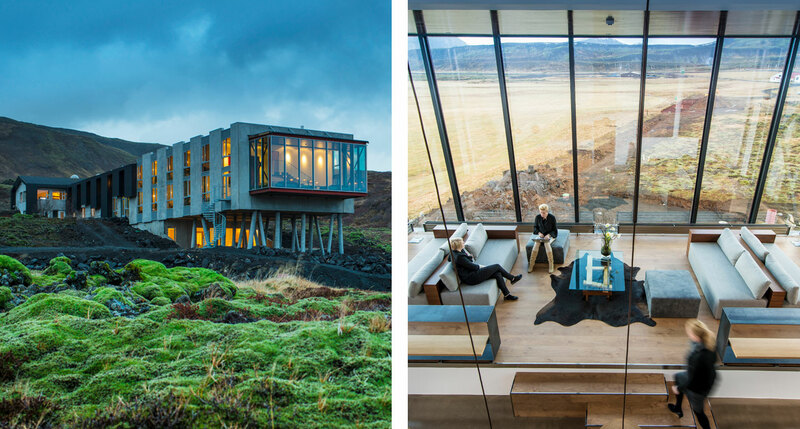 The same concepts utilized by Gláma Kím in Southern Iceland provide similarly ideal lodgings in stunning landscapes around the world. 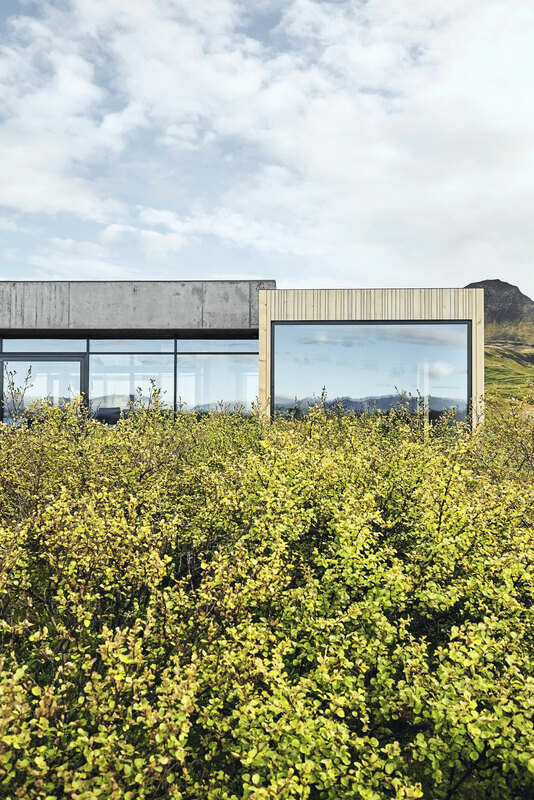 Itself set in Southern Iceland, sporting concrete walls and furniture of reclaimed driftwood, the Ion Adventure Hotel is as close as you’ll get to the holiday home built by Gláma Kím. 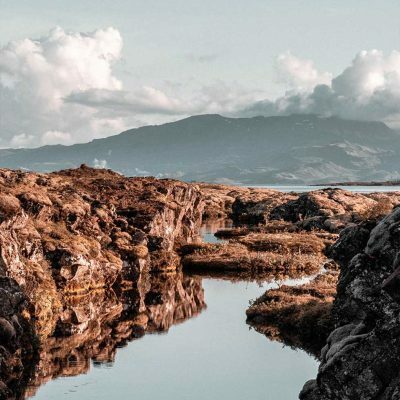 The largely monochrome interior design is just the right, understated complement to the unearthly landscapes of lichen and lava fields that surround it. And of course huge glass walls line the common areas — the views are the emphasis here. Sometimes compared to Tuscany — but without the hordes of tourists — Matarraña’s a region of Spain near enough the Mediterranean to support a lush, verdant landscape, with views you could pour yourself into for days on end. 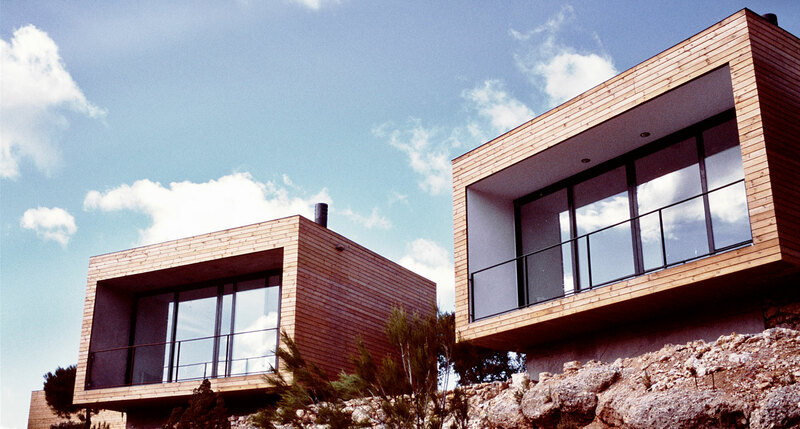 A boutique hotel called Consolación takes full advantage, putting each room in a wooden cube at the edge of a bluff. Once there, each guest has their own own glass wall (and accompanying terrace) open to the view. A cardboard box with a hole cut in it would do just fine in Patagonia, where the main attraction is the ephemeral mountain landscape. 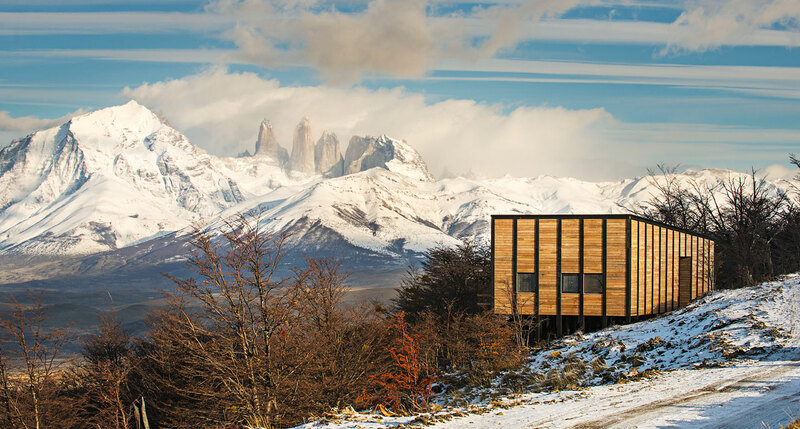 Fortunately, Awasi Patagonia provides just a tad more luxury than the hole-in-a-box concept. 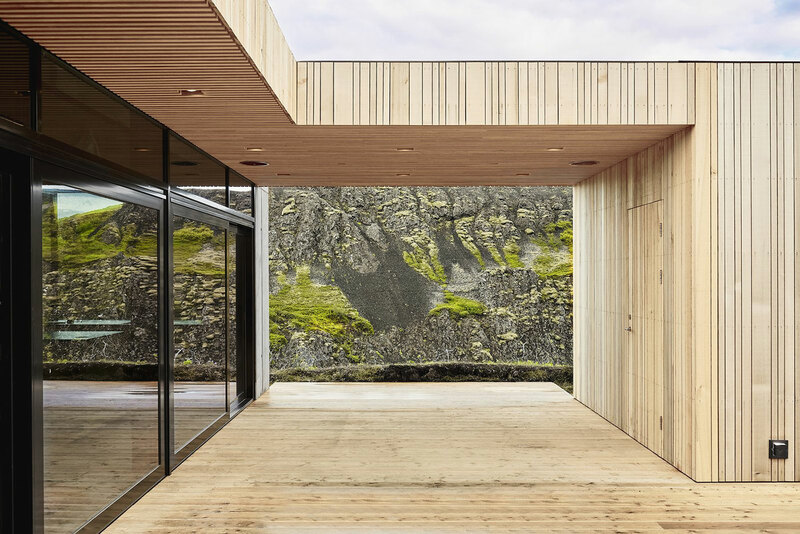 From the outside, the blond wood and geometric forms appear minimal. 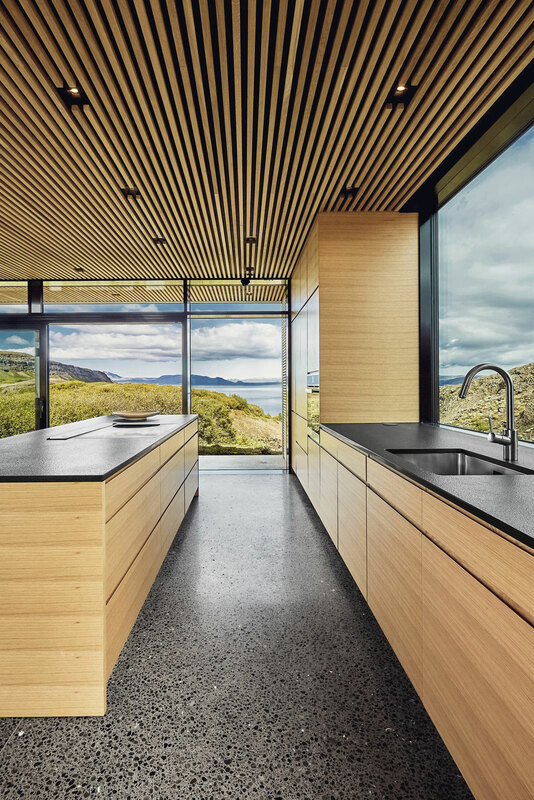 Once inside, the design is mind-blowing — a 50/50 blend of rustic charm and modern gloss. But the point always remains in a place like this: you cannot compete with the landscape, only complement it.